Luxe/Die-cut cards are so fun and unique! These stylish, new press cards are sure to impress your clients, friends and loved ones. This darling polk-a-dot, scalloped square card is sure to be a client favorite. 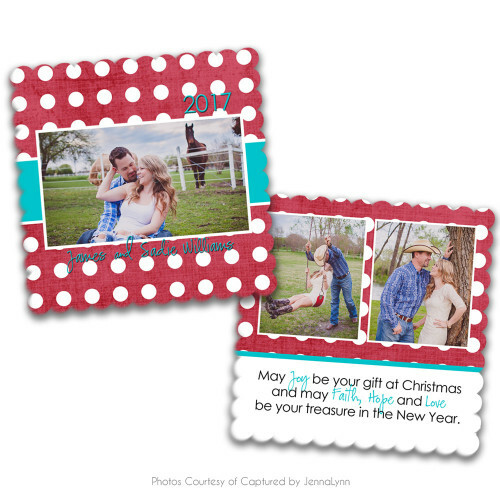 Save time and work with our easy-to-use, fun designs.